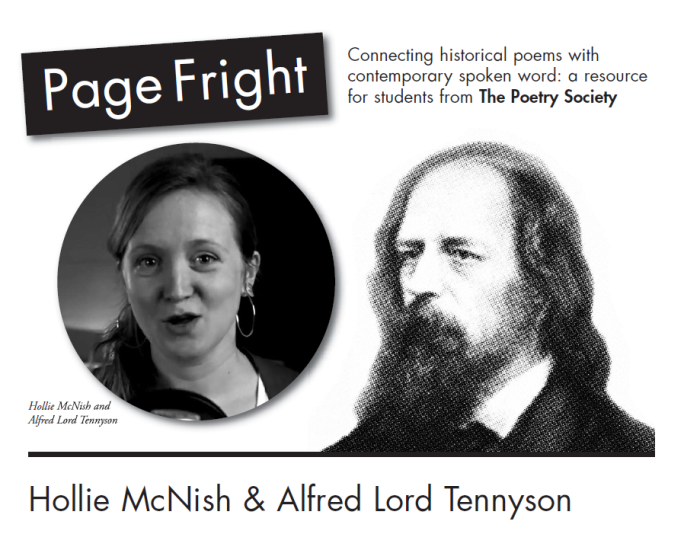 This resource looks at the work of two poets, Hollie McNish and Alfred, Lord Tennyson. It supports the filmed performances available at poetrysociety.org.uk/pagefright. Using modern spoken word to explore historical poems, Page Fright encourages students to explore and compare poems, then create their own responses. 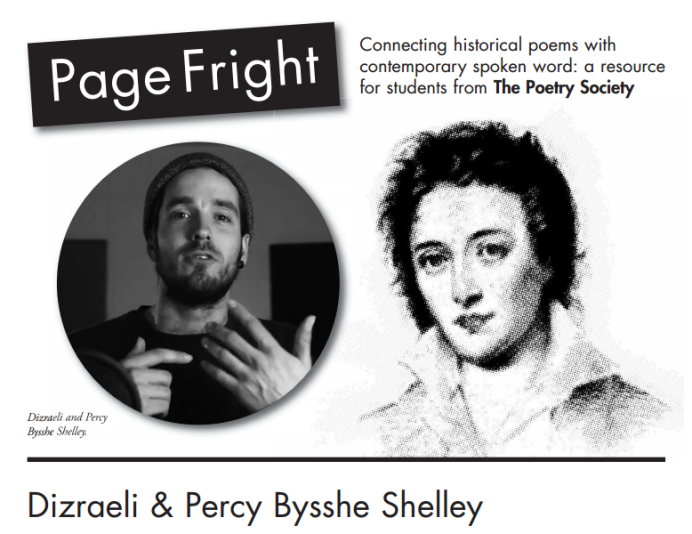 This Page Fright resource looks at the work of two poets: Dizraeli and Percy Bysshe Shelley. It is designed to support the filmed performances available at poetrysociety.org.uk/pagefright Using modern spoken word to explore historical poems, Page Fright encourages students to explore and compare their work, then create their own poetic responses. 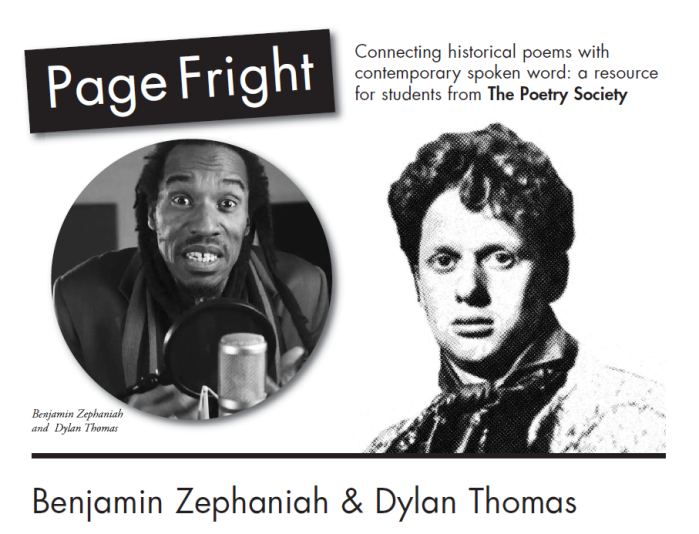 This Page Fright resource looks at the work of two poets: Benjamin Zephaniah and Dylan Thomas. It supports the filmed performances available at poetrysociety.org.uk/pagefright. Using modern spoken word to explore historical poems, Page Fright encourages students to explore and compare poems, then create their own responses. 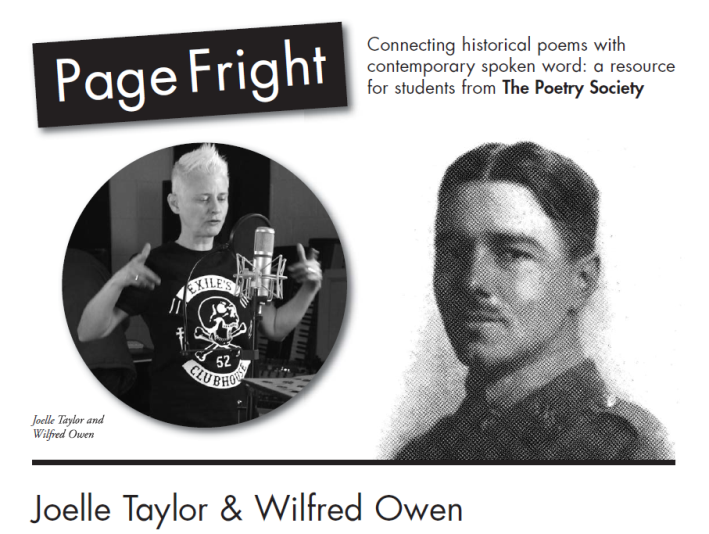 This resource looks at the work of two poets, Joelle Taylor and Wilfred Owen. It is designed to support the filmed performances available at poetrysociety.org.uk/pagefright Using modern spoken word to explore historical poems, Page Fright encourages students to explore and compare their work, then create their own poetic responses.